Now that I am almost finished my degree, I am able to take on some more freelance work…this week was busy and very special and reminds me why I am so committed to drumming with others. 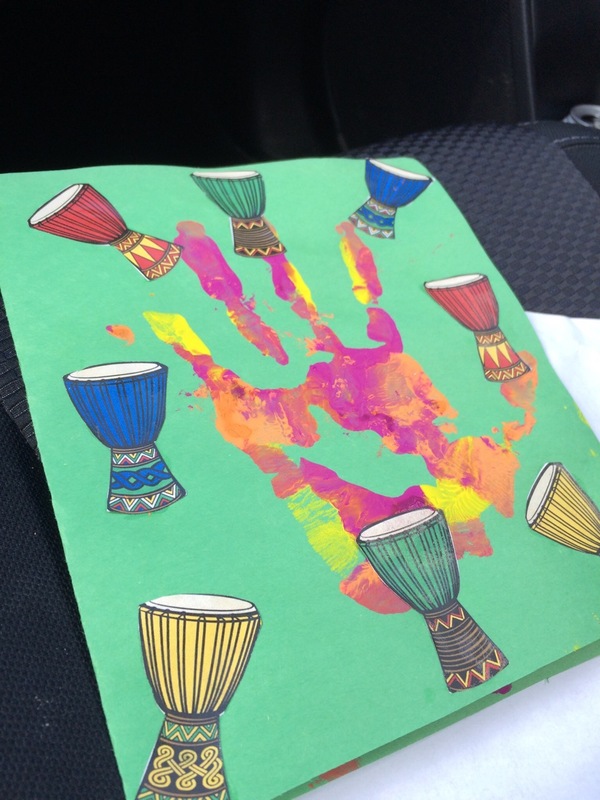 The week started with workshops in two family shelters, drumming with toddlers, kids & moms. They enjoyed themselves and gave me a beautiful handmade card to take home. 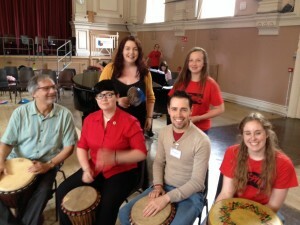 I also gave two drumming sessions to youth in the Young Voices Can! 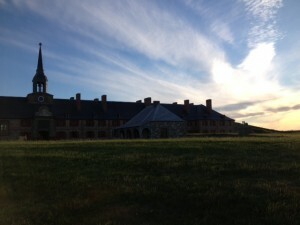 Summer Experience at Ashbury College. This amazing organization focuses on reducing both Islamophobia and anti-Semitism, as well as preventing marginalized youth from becoming radicalized. Their vision is to foster understanding, patience, open communication and co-existence by teaching conflict resolution and leadership skills, and enabling youth to come together for an extended stay filled with dialogue, reflection, learning, team building, self-awareness – and, of course, fun! My drumming workshops used rhythmic patterns that modeled dialogue between the youth. We had a great time and ended up performing our Kpanlogo segment for the Board and invited guests at the sharing on the final presentation. 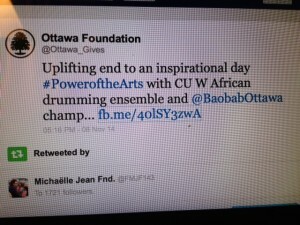 We are looking at a future partnership between Young Voices Can and Baobab Youth! I am looking forward to that collaboration. Probably the most unusual gig this week was being asked to be a guest judge at the Poetry Slam that was on the opening night of the House of Paint Urban Arts Festival. Hosted by Just Jamaal & John Akpata, the evening was an incredible showcase of talent. Probably the highlight for me was an impromptu performance by one of the other judges, PrufRock Shadowrunner of one of his most famous poems called “Countdown”. Check it out here you won’t be disappointed! Needless to say, I did not perform spoken word poetry 😉 but I learned a lot and had an amazing time. Sometimes depending on freelancing for a lot of my income can be challenging, but weeks like this one make it totally worthwhile. 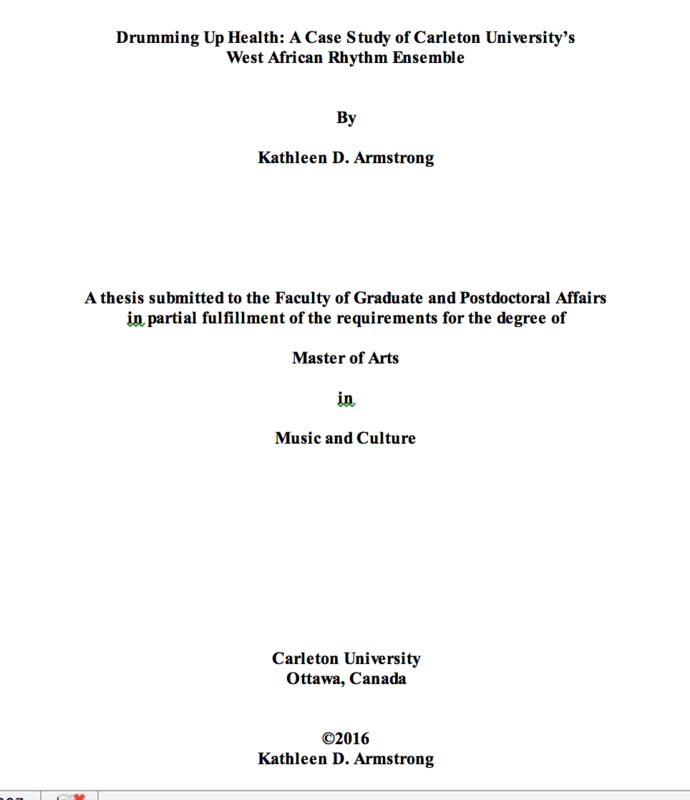 After an intense two year journey, I put the finishing touches on my thesis, Drumming UP Health: A Case Study of Carleton University’s West African Rhythm Ensemble. It is sitting with the examiners now and I will defend on September 2. It’s been wonderful to be back in school, get caught up on exciting current research in many disciplines, and develop more writing and speaking chops. 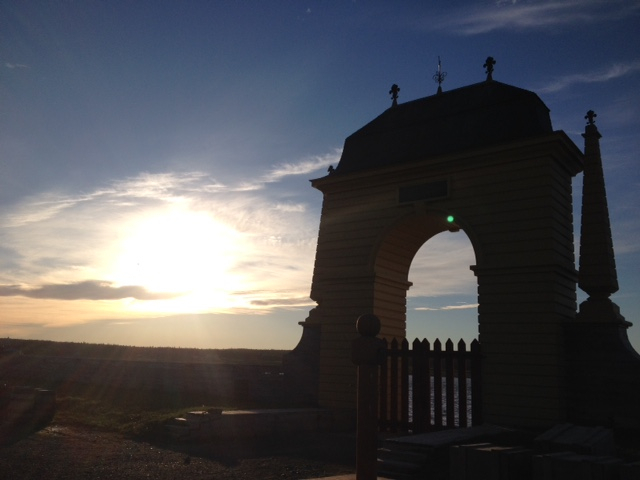 When done, I’ll have a second Master’s degree….an MA in Music and Culture. 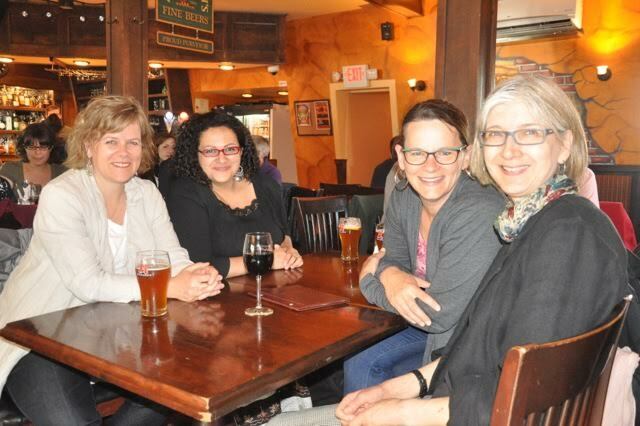 Thanks to all at Carleton University, but especially my thesis supervisor, Professor Anna Hoefnagels. 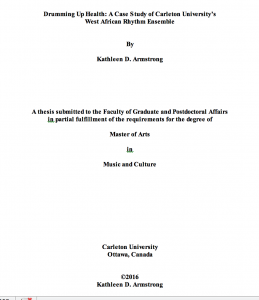 The thesis itself examines the ways in which participation in the Carleton University West African Rhythm Ensemble (WARE) contributes to positive health and well-being for the students involved. Themes of participatory musics, musicking, rhythmic entrainment and repetition are explored in relation to the experiences of the members of the group. I engaged both current and former members of WARE in surveys, audio interviews and email questionnaires. 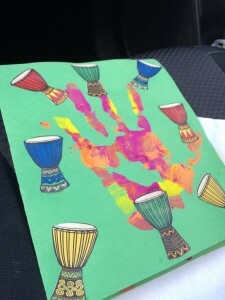 We looked at mental, social and physical health benefits, and there was certainly strong evidence of the positive effects of this kind of drumming, dancing and singing. 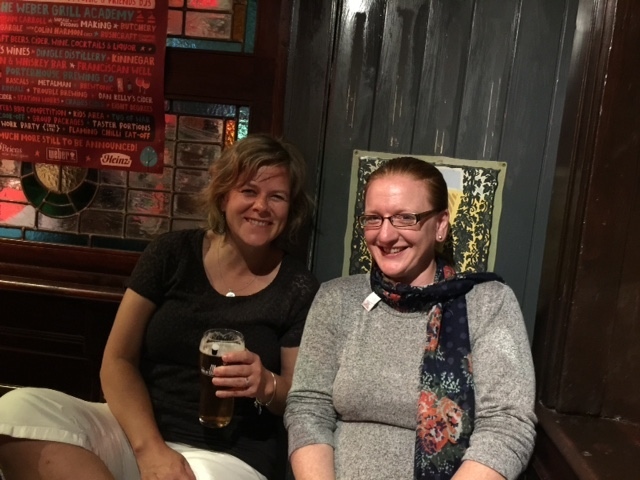 Really enjoyed my role as researcher with the amazing students that I have the privilege of working with…and who I will see again in a few weeks for the start of the new term. Very powerful stuff this drumming. No surprise there. Graduate Conference & old friends! In my second year of this MA at Carleton, I am mostly working on my thesis, having finished all my coursework by the end of last summer. However, our music department, along with Ottawa U, hosted a two day graduate conference last weekend. My research has involved a lot of reading of course, and its amazing to discover that people I went to school with have made such wonderful contributions to a variety academic fields. 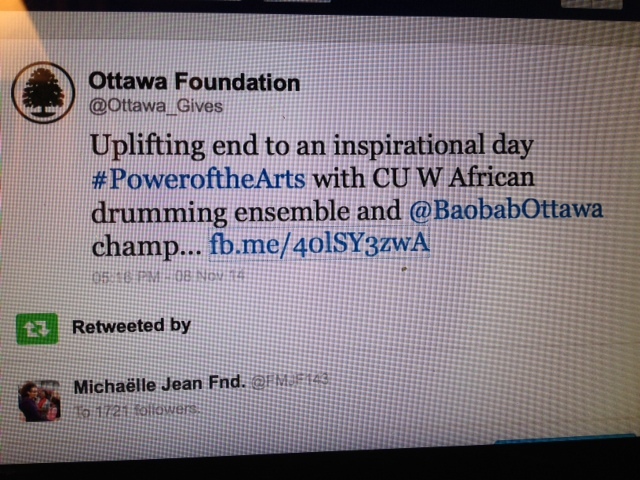 One of those, is Michael Bakan who was a percussionist at University of Toronto Faculty of Music when I was there. A few years ahead of me, Michael was a terrific performer, but he soon found his way into ethnomusicology and has published extensively on Balinese music, and music and autism among other topics. You can find a lot of his inspiring work on his website. 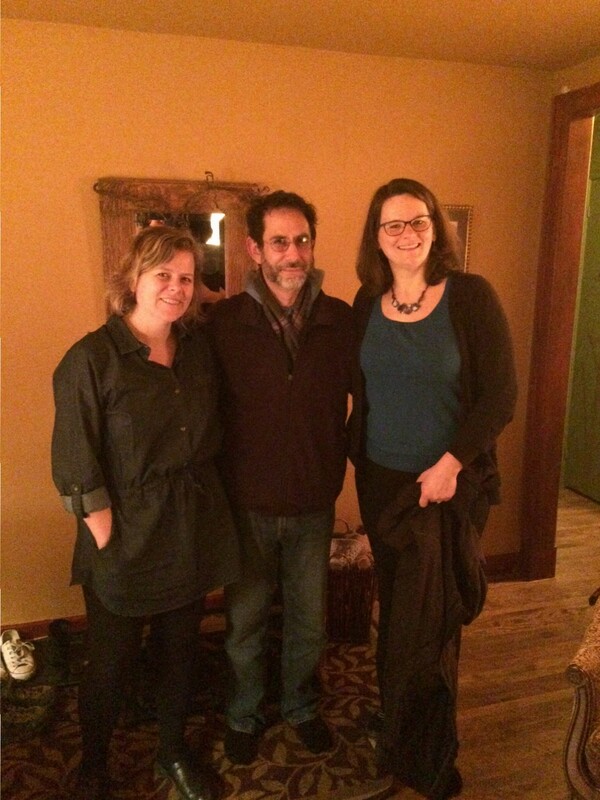 Our graduate supervisor, Dr. Anna Hoefnagels invited him to give a keynote address at our conference, which was really terrific. He discussed the music and autism projects he has been working on in Florida where he is on faculty at FSU in Tallahassee. He has also been conducting interviews with adults with autism, including a student at Carleton who I worked with both in the rhythm classes I teach as well as the West African Rhythm Ensemble I direct. In his presentation, Michael suggested an open model of neurodiversity as a means to exploring the connections between autism and music, without the usual labeling that often accompanies diagnosis. 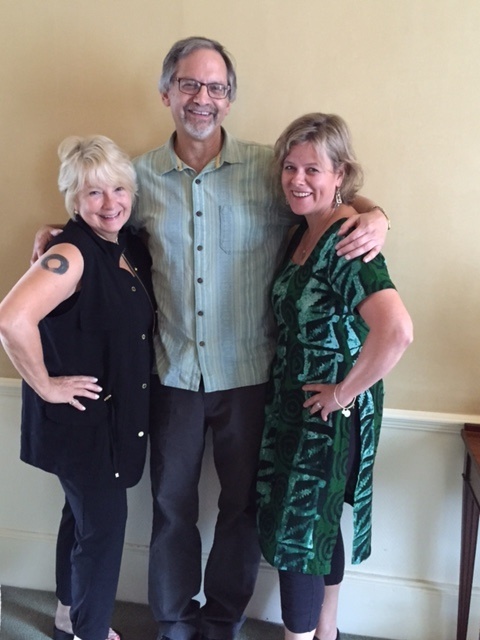 It was fantastic to see Michael again after so many years, and have a chance to catch up! 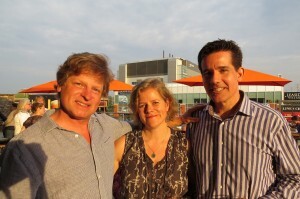 Nexus was in town for ChamberFest this week. They presented two suites of music at the beautiful Dominion Chalmers Church. The arrangements were by Russell Hartenberger, the first a beautiful set of Iranian songs that featured soloist Sepideh Raissadat who sang and played setar. Then a very fun suite of songs by the legendary New York composer poet and inventor, Moondog. One of the movements required an “untrained voice” to sing some of the poetic lines. I got the call 😉 Beautiful and simple lines, beginning with “I’m this. 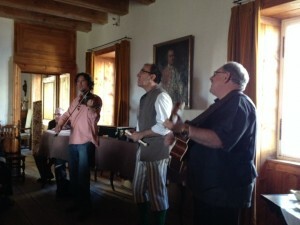 I’m that.” It was sure fun to have a singing gig with Nexus. They have recorded that combination of music and you can find out more about that here. Dinner out later, with Nexus all on one side of the table, provided an opportunity for me to try out the panorama feature on my phone. I’m indebted to these musicians for their teachings and amazing musical journeys that they generously share with so many. I first heard them in highschool and then later was fortunate enough to study and work with them at University of Toronto and elsewhere. Always great to reconnect with them and their families.  After a few years hiatus, this month I returned to the highly creative, inspirational (and slightly exhausting) vortex that is the Choral Music Experience (CME) Institute for Choral Music Education that was founded and is directed by Dr. Doreen Rao. This year’s Institute was in Ireland on the beautiful grounds of the University of Maynooth, just outside of Dublin. 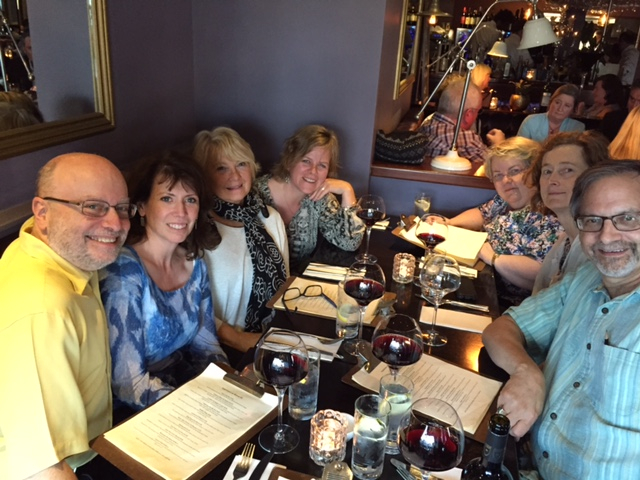 Working with Doreen and Lee Kesselman, as well as Mandy Miller from Scotland and Mary Amond O’Brien of Ireland, was a fantastic experience, as usual. Great to see old friends and meet lots of new ones. Many of the conductors were from Ireland, some from London, Scotland, USA, China and elsewhere. 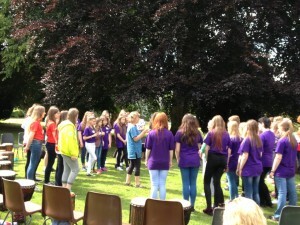 In residence were three Children’s choirs, who the conductors and myself worked with. 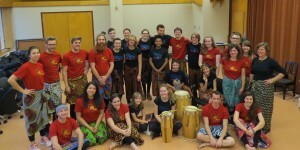 My job was to help facilitate connection to the body, through pulse, drumming, movement and singing in traditional styles from Ghana. 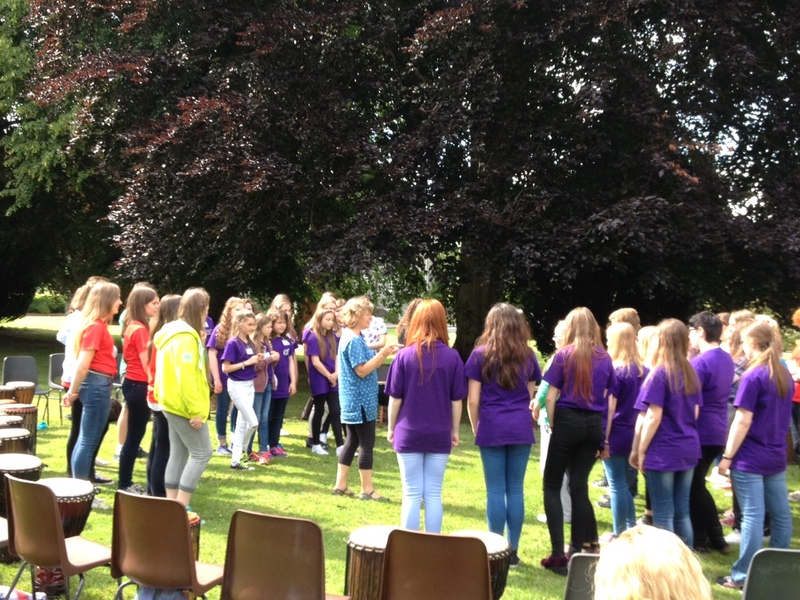 We had a great time, even doing a session outside one day which can be challenging in Ireland! They learned several parts, choreography and songs for Kpanlogo and our final concert had over 100 people participating from a wide range of ages and experience! What a celebration. So much fun! Connecting to those with similar philosophies and exploring connections makes me very happy. 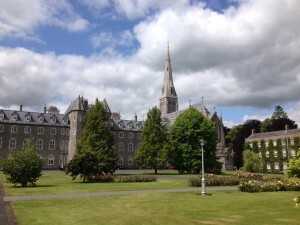 Even better when it is in such an inspiring place such as Ireland. More more! I have worked for several years with the Capital Grannies, a local chapter of the Stephen Lewis Grandmothers to Grandmothers Campaign here in Canada. Our connection began with Kate, a talented participant in my adult drumming class, who so enjoyed drumming that she wanted to bring the experience to the women in the Capital Grannies. 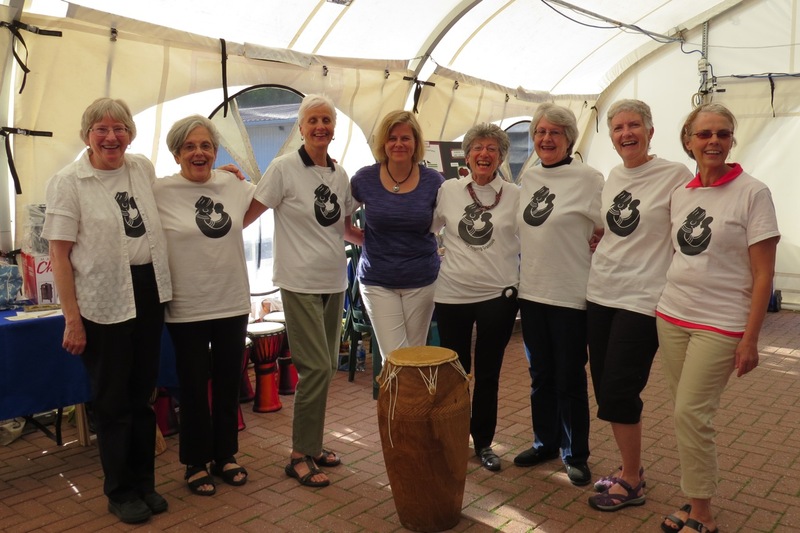 Their tireless efforts in fundraising for children orphaned by HIV/AIDS in South Africa keeps them very busy, but drumming has added an exciting element to some of their events, and made for a strong bond between the women. Over the years, I have taught them some of the Ghanaian repertoire and adapted it so that they can play sometimes on their own, or with me. 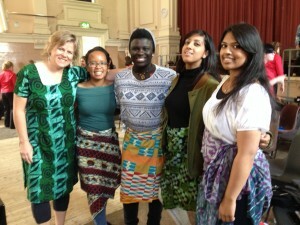 I really enjoy playing with them in performance when I can, and we have collaborated several times with my youth group. Sadly, Kate passed away from cancer a few years ago, but her passion for drumming has kept us all at it! The Capital Grannies run an annual Golf Tournament in Kate’s name, as a fundraiser for the Stephen Lewis Foundation. 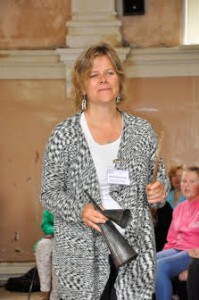 This year’s event last weekend was very successful, as usual, including a new drumming piece! In rare form (these ladies are usually meticulous and long-term planners!) they asked me for a new piece at our rehearsal the week before the event. 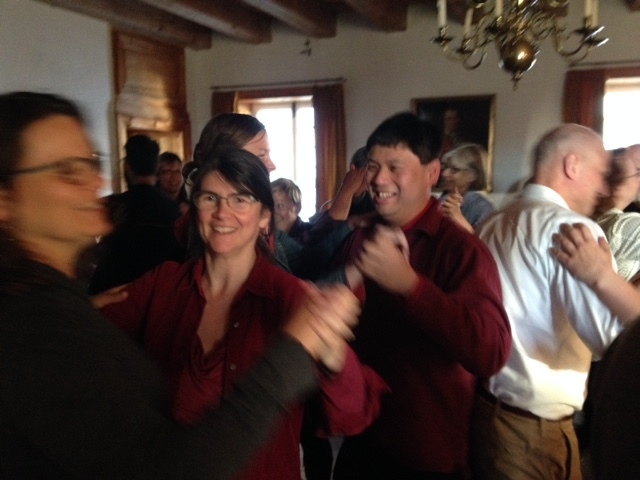 They learned several new parts of Kpatsa in a short session, which we then drummed at the Golf Tournament dinner! 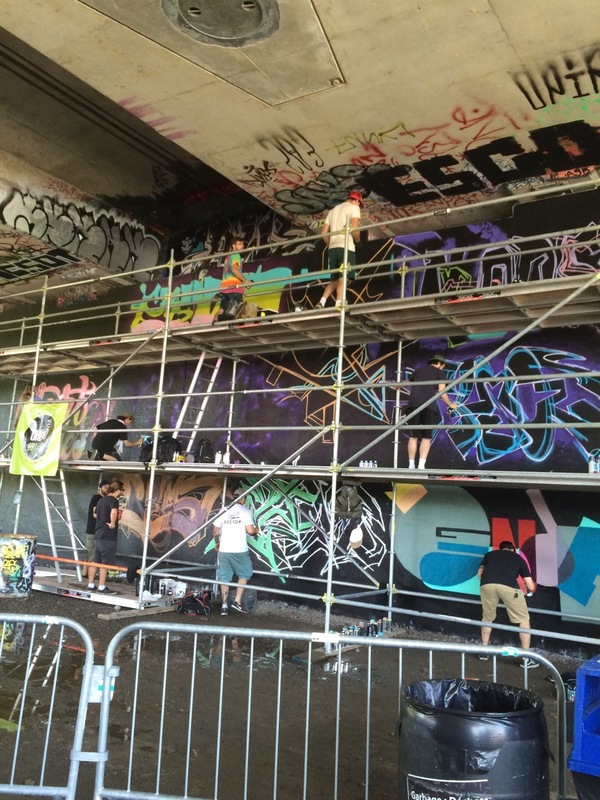 Kudos to all! Its an honour to know and work with these vibrant women. Its been a LONG while since I posted. Finished my first year of the MA in Music and Culture at Carleton University. All my coursework is now completed except for one practicum course which I am doing in the summer term with a program called Bridges, a joint project between the Children’s Hospital of Eastern Ontario (CHEO) and the Youth Services Bureau (YSB). I am VERY excited to be working with them, exploring the links between the social, physical and mental health of young people and the connection to drumming. I celebrated the end of term with a road trip to Toronto to connect with old friends in music: my high school reunion, as well as a get-together for many of us who were fortunate enough to attend Scarborough Music Camp. The calibre of music education in the Scarborough schools system during the 70s and 80s was phenomenal! 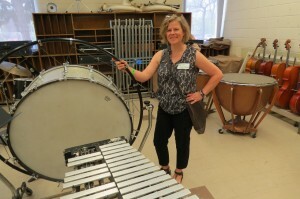 All the schools had programs and all fed into the larger “Scarborough Schools” music ensembles such as the Orchestra, Concert Band, Wind Ensemble and Percussion Ensemble. I spent time in many of these groups. Not only did it keep me occupied during high school, but it gave me a taste for excellence, leadership and community, which I have used as my model for my career. It also fostered friendships, and mentorships that continue to this day. Dropping into the Sir Wilfrid Laurier Collegiate music room (current head of music is a classmate of mine from those days) and seeing the percussion section was fun and strange at the same time. Almost nothing has changed. 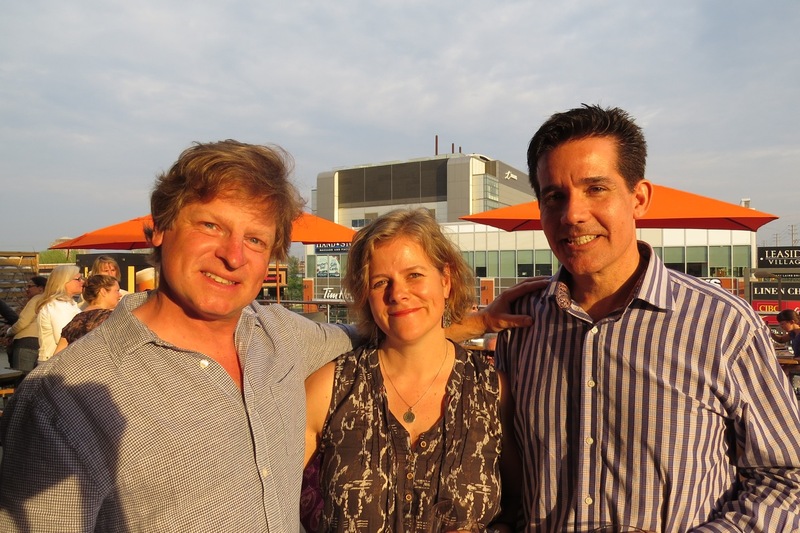 It was also fantastic to reconnect with fellow percussionists John Andrews and Roger Boyce at the SMC Reunion later that afternoon. Memories of repertoire, social hangs and chats in the back of cargo trucks trying to hold down percussion equipment that rolled around with each turn around the Scarborough streets on our way to perform at various schools came flooding back. So many friends from camp days attended the get-together and we had a blast. Those shared memories of such formative years are wonderful to revisit. Good music education grows good people. Excellent music education changes lives. 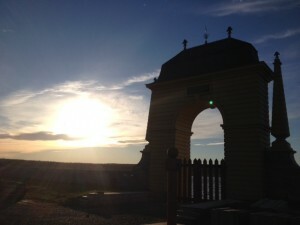 I was lucky to have experienced this, and I am always trying to pay it forward! Was very honoured to present at the Power of the Arts National Forum here in Ottawa this past weekend. An amazing conference, bringing together the best of Canada’s grassroots arts initiatives and related organizations and thinkers. 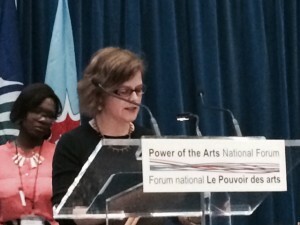 The conference is in its second year and is co presented by the Michaelle Jean Foundation and Carleton University. The theme for this year was “Acting Now for Social Change”. 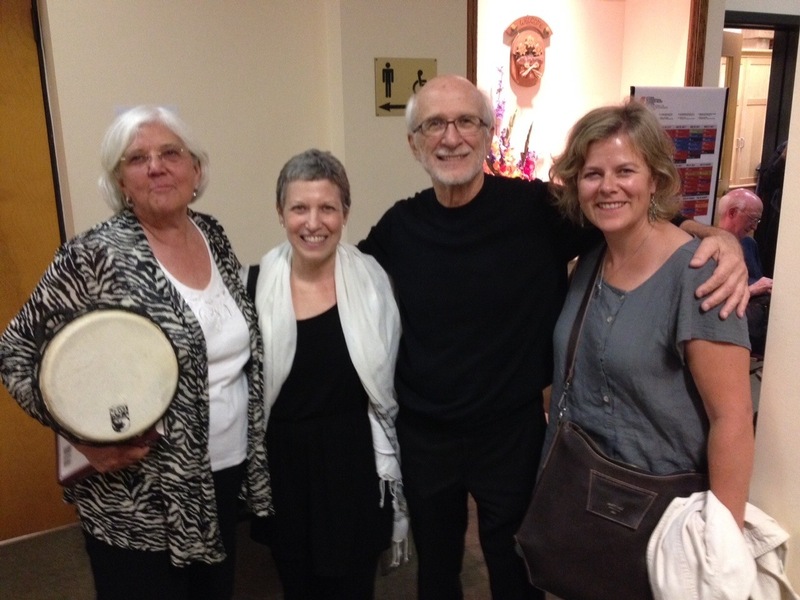 I spoke about the embodied rhythm courses I designed at Carleton, as well as the ensembles I direct, both at Carleton and at Baobab Community. I highlighted the benefits to mental and physical health that come from participating in a group musical activity, especially one that is grounded in rhythm and dance. It was my first formal talk in a long time and felt great! 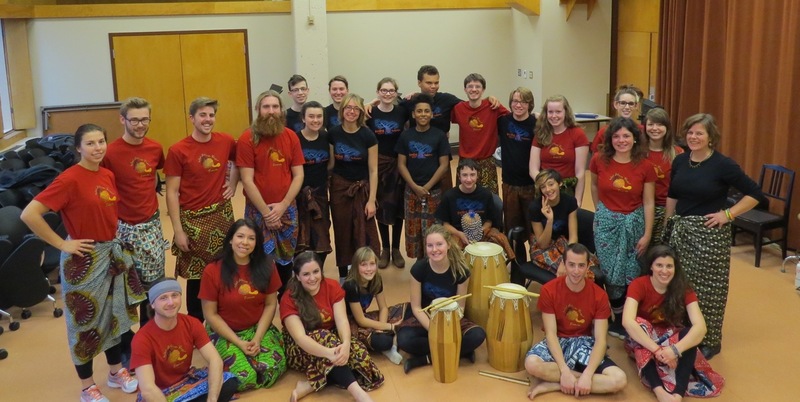 Especially when I could follow it up with a performance that demonstrated what I was talking about…both the Carleton West African Rhythm Ensemble and Baobab Youth performers came together for a massed Gahu. We had a lot of fun, rocked the room, got a standing ovation, and a mention the next day by Carleton’s FASS Dean Osborne. Way to go gang! I love getting the two groups together. So much great mentoring, charged energy, and GROOVE!